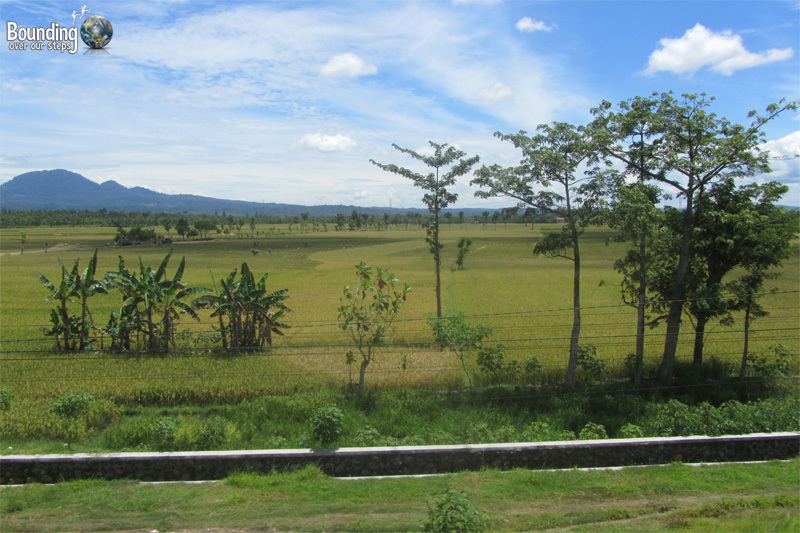 As we had a bit more time in our time budget than our financial one, we opted to cross central and eastern Java by train. 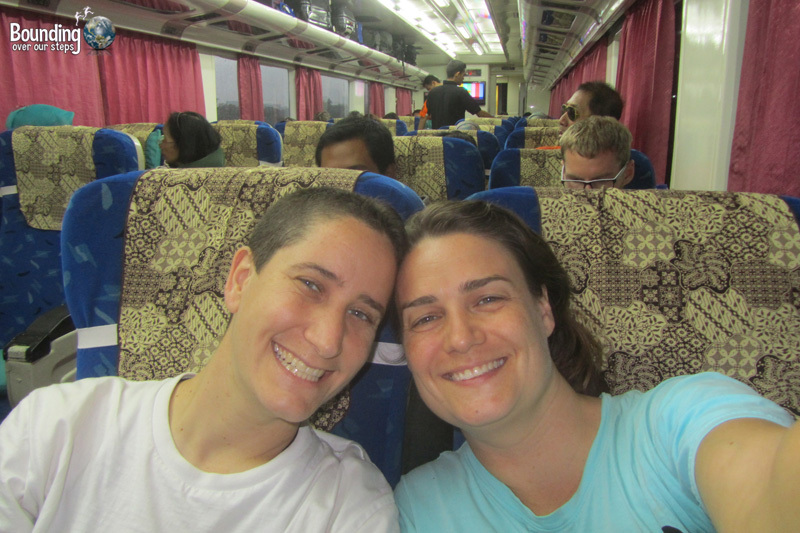 Our adventure began shortly after our arrival to Jakarta’s Soekarno-Hatta International Airport, where we caught the Damri bus direct to Gambir Station. Gambir is one of the main train stations for long-distance trains in and out of Indonesia’s capital. Before we began navigating our map, however, we had to figure out how to purchase with Kerati API, the official train company. Now, we’ve bought train tickets in many countries, but Indonesia has a system we’d never seen before. First, we had to fill out a ticket request form and then proceed to the “loket” (ticket window). It’s possible to buy your ticket ahead of time, but the website is only available in Indonesia, so the windows designated for pre-ordered tickets were not the ones for us. We discovered this useful fact only after we spent 15 minutes in line. With our completed request form, and having queued for the correct window, we bought our tickets for Yogyakarta, leaving at 8:30 am on the “Taksaka Pagi” train in 2 days time. Not being too keen on big cities, we were excited to leave Jakarta, and especially because we had heard great things about Yogyakarta. Scheduled to take 7.5 hours, but took upwards of an hour longer, the rail journey offered an amazing way to see the country, and Indonesia is incredibly scenic! We passed some spectacular views of mountains, rice fields and volcanoes, one of which was erupting and was front page news in central Java. We saw water foul, sheep and cows, as well as children excitedly waving as our train engineer blasted the warning horn. For this trip, we opted for the highest class, Eksekutif. We must admit, the reclining seats, footrests and pillows did make it more comfortable than 2nd class, Bisnis, which we took for our subsequent trips to Surabaya and Banyuwangi. However, the love-seat style of our Bisnis car, with their reversible seat backs to allow for forward- or backward-facing travel, are only slightly less comfortable and we were happy to save the money. 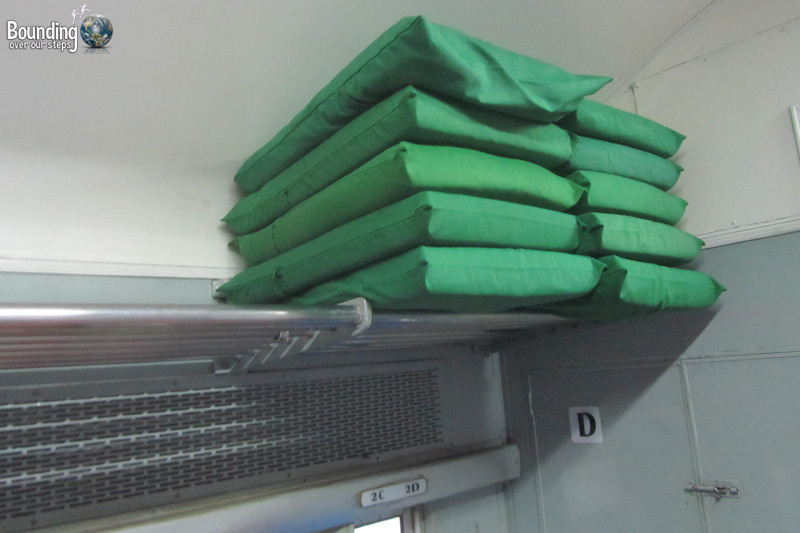 Both 1st and 2nd class are cars of the same train, separated by the meal car. Train staff continuously walk the aisles with varying dishes, but none were vegan. 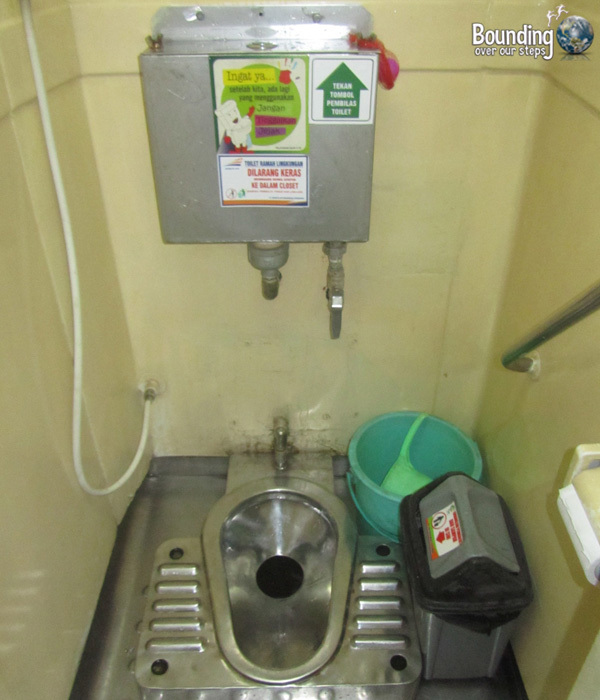 The biggest challenge while on board, by far, are the bathrooms. We were happy to be wearing closed-toe shoes as the squat toilets got a bit slippery in the latter half of the journeys, and that we always brought our own toilet paper in case the stock provided was empty. On a side note, if you’re lucky enough to have an open window in the bathroom, it’s the best opportunity to get tint-free photos of the passing scenery. Java is the only island on the archipelago that has an extensive rail network. If we had had a bit more time, we would have also tried the cheaper, 3rd class option of a local train. Alas, that adventure will have to wait for another day. All in all, we spent about 22 hours on eastbound trains crossing Java during the first week of our Indonesian vacation. 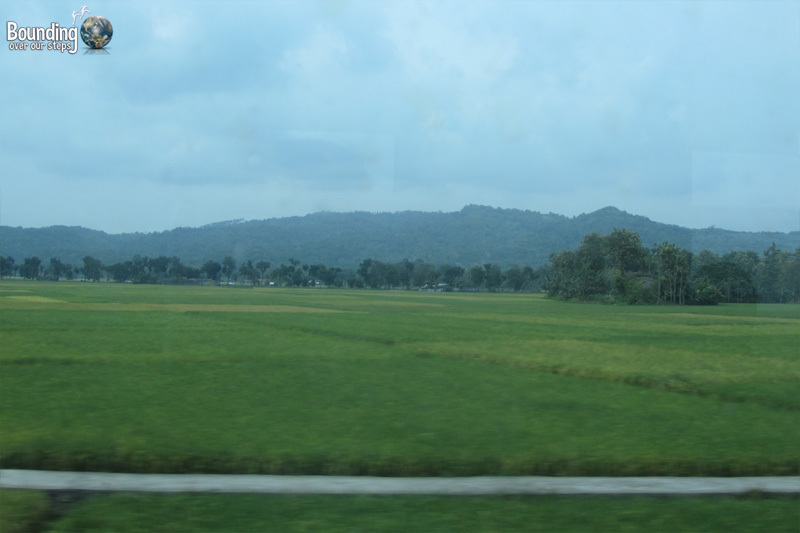 Scenery-wise, the last half of the journey between Surabaya and Banyuwangi was the most stunning. What countries have you traversed by train? This sounds incredible! Minus the food options. And the toilets. But, the toilets are par for the course. Even on the train from Bangkok to Chiang Mai that is the situation. Smart to wear close-toed shoes!! 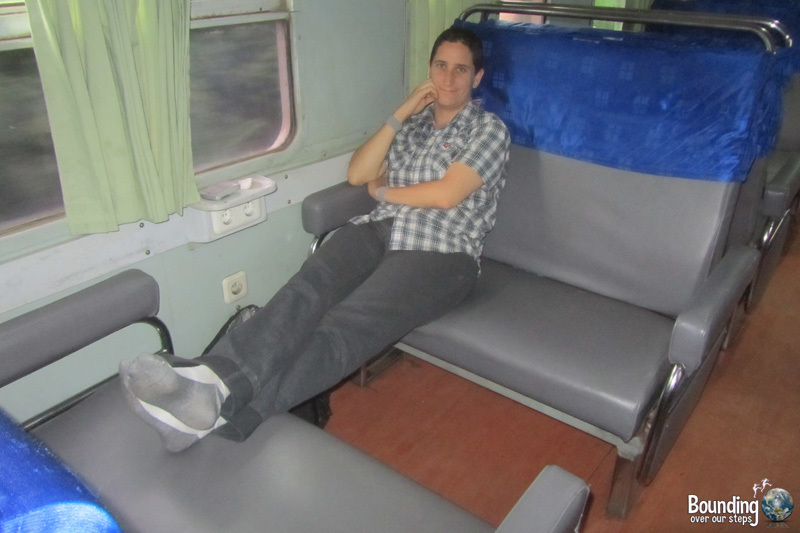 I love train travel, it’s such a great way to see a country. Thanks for the info Rian about the local/ekonimi class. It definitely sounds like a different experience from the ones we had. I am so into train travel right now. Having only done the Bali – Nusa Lembongan – Lombok – Gilis circuit this has me excited to explore more of Indonesia! How much did it cost you to travel across Java? i am thinking of doing this trip in December. I’m planning to leave Yogya soon and make my way by train to Bali (bus from the ferry). So far planning to stop by Malang and Bromo, but was wondering if you have other must see cities on the way?